Chalet Kuma is a new chalet for winter 2019 that we are really excited about in the Ski In Luxury office and you can certainly see why. It ticks some of the most important boxes you may have when looking to book your ski holiday. It is ski in, ski out in Chamonix which is a huge bonus. It also features an indoor swimming pool, sauna and steam room, so for those looking for spa facilities it works incredibly well. Kuma sleeps up to 12 guests across 5 well appointed bedrooms, with 4 doubles and 1 bunk room suitable for 4 guests. The chalet is available on both a catered and self-catered basis, giving guests great flexibility in deciding how they spend their stay. Another great chalet that we have added to our portfolio this season is Chalet Slalom. Like Chalet Kuma, it is in the Les Houches part of the valley which is great for families and those looking for convenient ski access. We love the funky design of the chalet with the stylish furniture, artwork and decor contributing to a relaxed and convivial atmosphere. Chalet Slalom is just across the road from the Bellevue lift and you can almost ski all the way back to it via the blue and red pistes. Chalet Slalom welcomes 14 guests with 5 double/twin rooms and a 4 person bunk room, making it ideal for larger groups and families. If it is views that you are looking for, then Chalet Norel delivers spectacular vistas and much more! The main living area is completely open-plan with vaulted ceilings, giving it a light, airy feel and more importantly huge windows to make the most out of the amazing views. There are also two large balconies; one offers views down towards Megeve and the entrance to the valley, while the other looks over towards the Aiguille du Midi. Chalet Norel is ideal for a couple of families as you have 5 bedrooms at your disposal – 4 doubles and one 4 person bunk room for the kids to fight over who gets top bunk. It is worth noting that Chalet Norel is located just a snowball’s throw away from Chalet Kuma, making it a good option for large groups looking for two chalets close together. 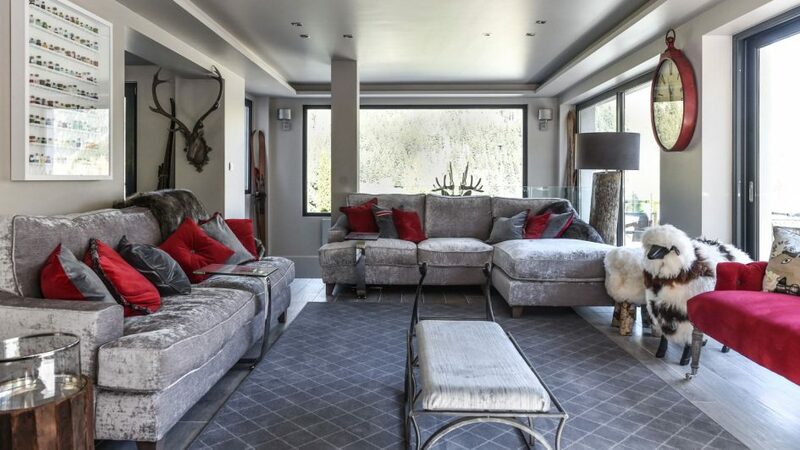 For those looking for luxury self-catered accommodation in Chamonix, Chalet Black Squirrel could be an ideal option. 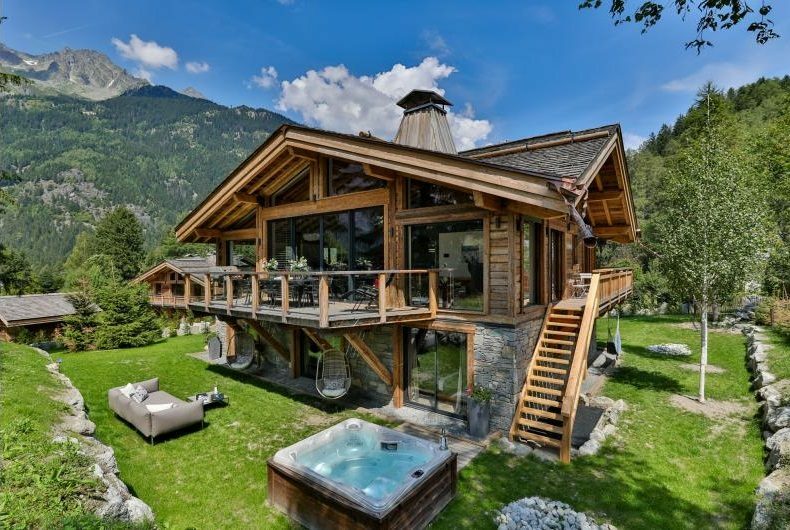 This modern chalet is situated in Les Bois, a peaceful area which offers great access to walking trails and some of the cross-country ski tracks in Chamonix. 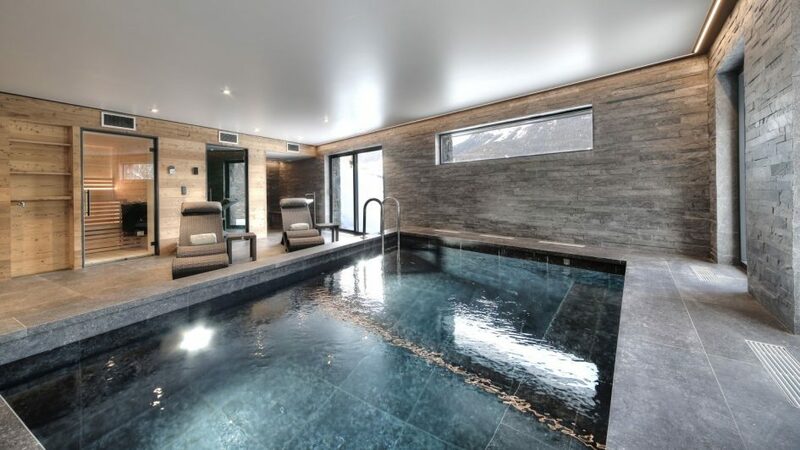 Black Squirrel has a lovely spa on offer to its guests consisting of an indoor pool with a swim jet, a good size sauna and an outdoor hot tub, ideal for those looking to relax after exploring one of Chamonix’s many ski areas. Black Squirrel follows the trend of having a 4 person bunk room as one of its 5 rooms, with the others being 4 doubles. This gives groups greater flexibility if there are children or teens who want to share a room. The living area of the chalet is really quirky with the kitchen, dining and living areas being open-plan with a semi mezzanine, a seating area and desk just above. 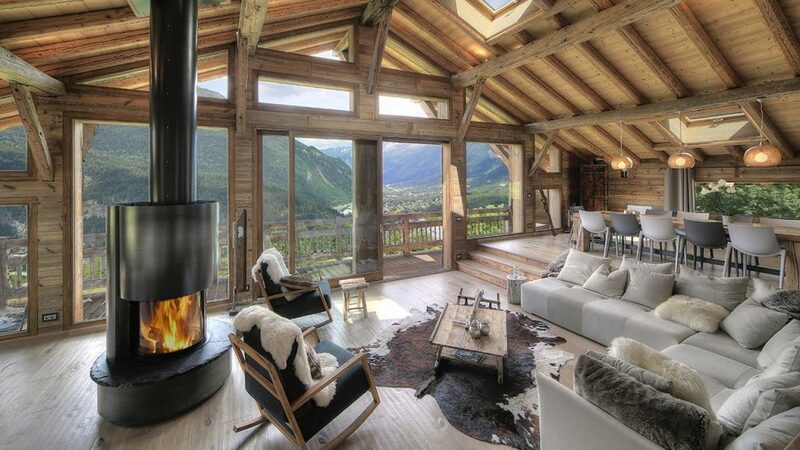 Le Chalet Mont Blanc is a Courchevel standard luxury chalet in Chamonix. 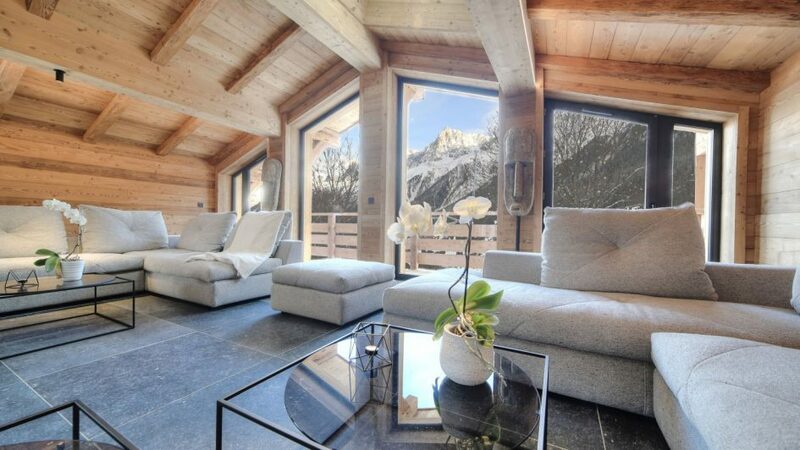 At over 1,000m2 it is vast and has everything one would need on their luxury ski holiday. 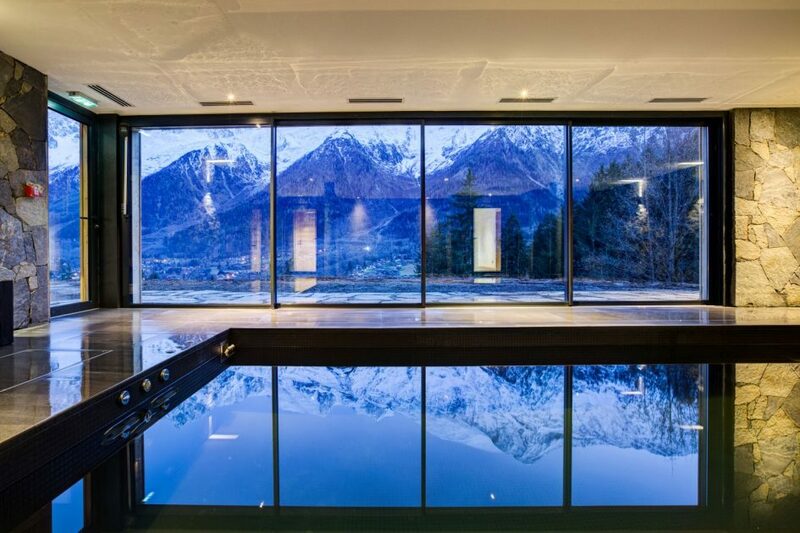 Amazing views over towards Mont Blanc, a swimming pool, sauna, steam room, cinema, gym and a massage room. Le Chalet is such a special property that it has made it as part of our Ultimate Luxury Chalets collection, which is the top 100 chalets from the Ski In Luxury portfolio. Le Chalet Mont Blanc is great for corporate ski holidays as it boasts a conference room and has 12 double/twin rooms, one of which has a bunk bed, so at full occupancy Le Chalet has space for 26 guests. It also has rooms adapted for skiers with disabilities and can be accessed via the internal lift. If any of these latest additions to our portfolio tickle your fancy, please do get in touch and we will be happy to discuss them with you in greater detail and see which one could work best for you. You can get in touch with us by giving us a call on +44 1202 203650 or you can send us an email. We look forward to hearing from you with your requirements.